Youngduam Rock is an unusual lava formation that lies on the coast just west of Jeju City. 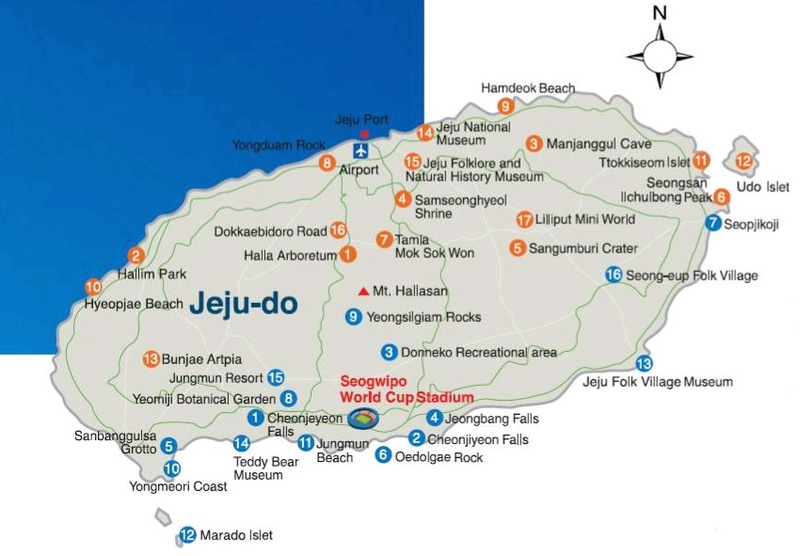 The basalt dragon�s head with its open mouth is one of Jeju-do�s popular tourist sites. 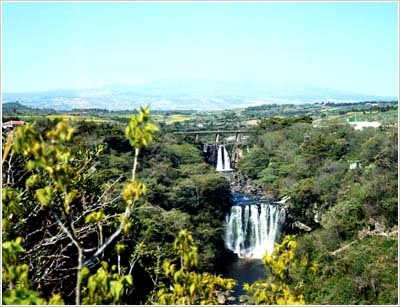 Long-extinct volcanos, towers over the island and below it are fertile fields, forest, quaint villages and fine hotels near white sandy beaches. The 5.16 and 1100 Roads pass over the lower slopes of Mt. Hallasan. 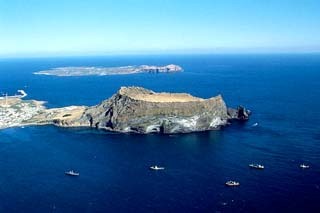 The snow-covered peak of the extinct volcano poking through brooding clouds is visible from nearly every point on the island. The mountain soars to 1,950 meters above sea level, making it the nation�s highest. 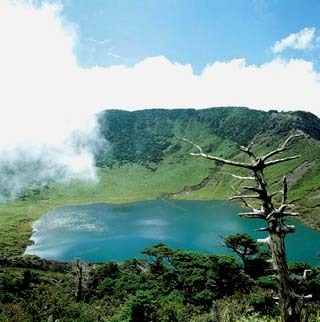 Sangumburi is one of the three major craters on the island, the other two being Baengnokdam Lake at the summit of Mt. Hallasan and the Sunrise Peak at Seongsanpo. 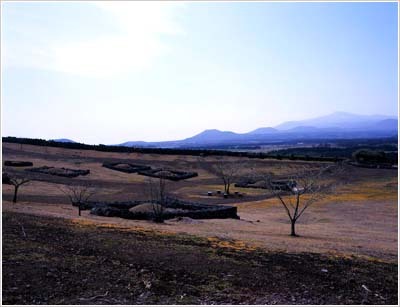 Sangumburi Crater is about 2km in circumference. It is home to some 420 different species of subtropical, temperate and some alpine flowering plants, so botanists call it �floral treasure house.� It is best viewed in summer or fall. 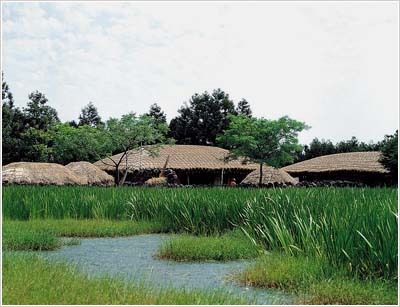 Seongeup Folk Village has been designated as a Folklore Preservation Zone. Here you can meet the friendly island people who still live behind stone courtyard walls in thatched-roof lava-wall homes. 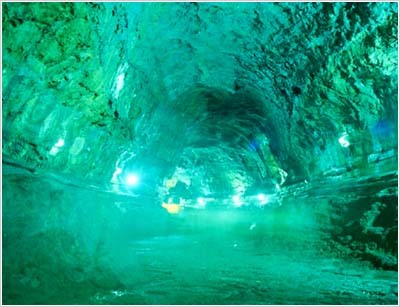 Manjanggul Cave is situated on the northeast coast. At 13.4km, it is the longest lava tube in the world. 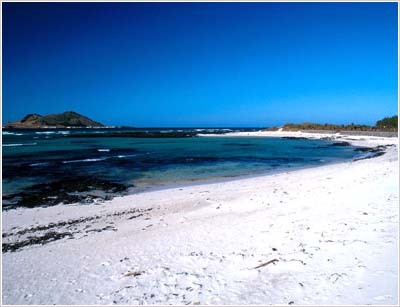 Seongsanpo, which means Fotress Mountain Port, is a small village on the island�s eastern tip. The name describes the unusual volcanic cone which dominates the area. This cone, known as Seongsan Ilchulbong or Sunrise Peak, is one of 360 parasitic volcanoes that dot the island. Scaling up a steep slope, winds a trail that takes you to the western edge of the crater. A climb up this narrow trail rewards the climber with a most spectacular view. At sunrise, the scene is unbelievably beautiful. 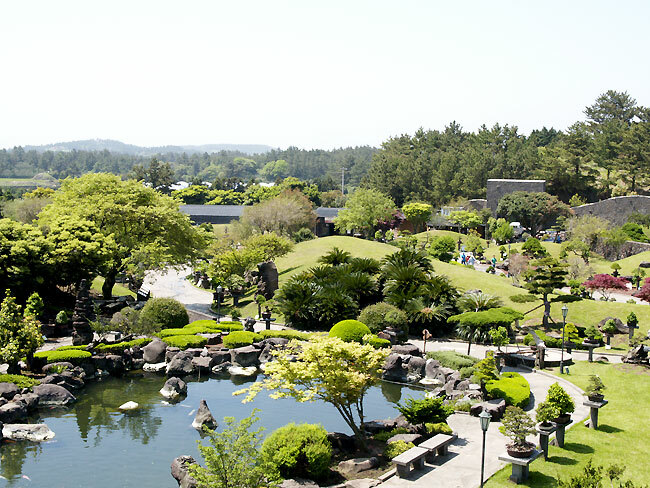 Yeomiji Botanical Garden is located at the Jungmun Resort. A truly gigantic greenhouse, where some 2,000 varieties of rare plants and more than 1,700 kinds of flowering plants are exhibited. It features a large plantation of aquatic plants, tropical fruit trees, cactus and other delightful specialties. Cheonjeyeon Falls is the �Pond of Heaven�s Emperor.� Legend has it those seven nymphs who were handmaids of the Emperor of Heaven descended in the middle of the night to bathe in the pool. There is an arched bridge above the pond named Seoningyo with the figures of seven maidens sculpted on it. Hyeopjae Beach and Hyeopjaegul Cave are well-known tourist sites on the outskirts of Hallim. The cave contains awesome light colored stalactites and stalagmites, formed as winds blew calcium0rich sand over the ground and rain water carried the calcium down into the black lava cave. 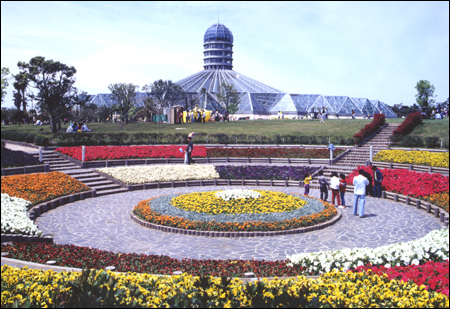 The Bunjae Artpia is only park in Korea specializing in potted plant cultivation and garden plants and it is the largest of its kind in the world. Aside from small potted plants, the park contains more than 1,000 specimens and displays over 700 of them daily. Chinese Chairman Jiang Zemin visited here in November 1995.